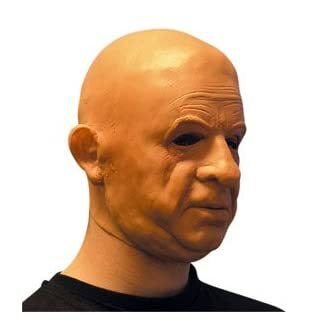 This soft rubber mask fits close to your face and has some degree of movement as you move your face. 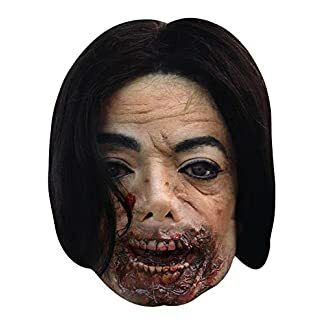 The effect is pretty surreal in a way that a funny or horror mask can never be. 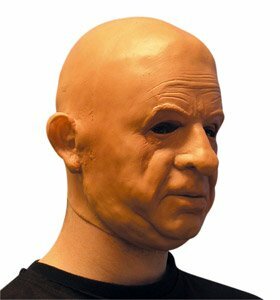 It’s as close as you’ll get to prosthetics in a mask. 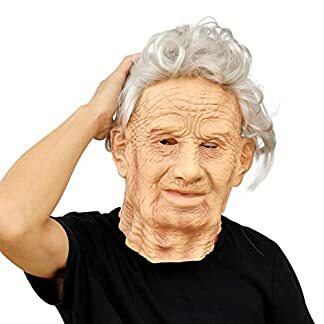 You can wear a wig with it to change the appearance even more.